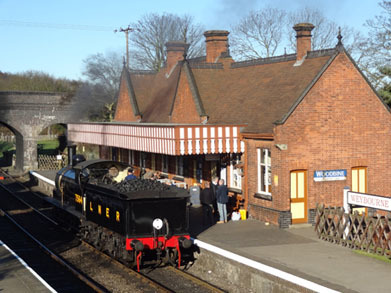 Early morning at Weybourne Station under clear blue skies. A few of the 26 budding engine drivers have arrived, and John and Sheelagh will soon be driving the hundred year old loco down to Sheringham to pick up the set of carriages. 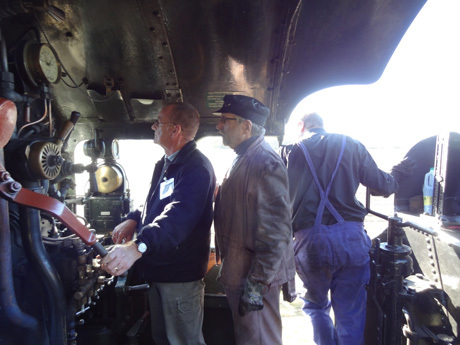 The NNR looked after us brilliantly, and it was certainly a day to remember - we'll definitely be back! 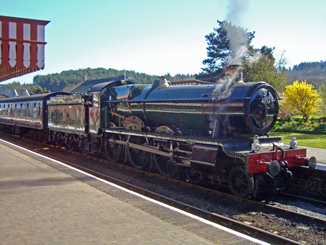 Bernie takes "Kinlet Hall" out of Weybourne Station with a steep climb ahead through the Kelling cutting (1 in 80) on the way to Holt station. 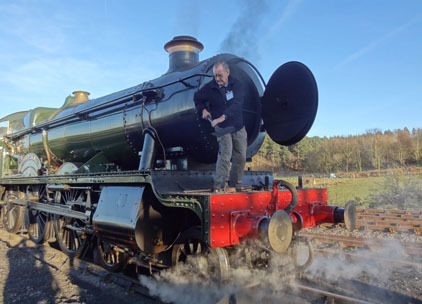 At the end of over a twelve hour day, Bernie earns his keep by shovelling out the ash from the smoke box - still under clear blue skies. On to the Didcot 2013.